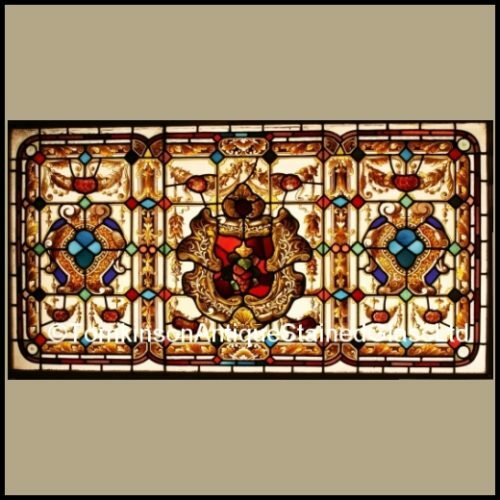 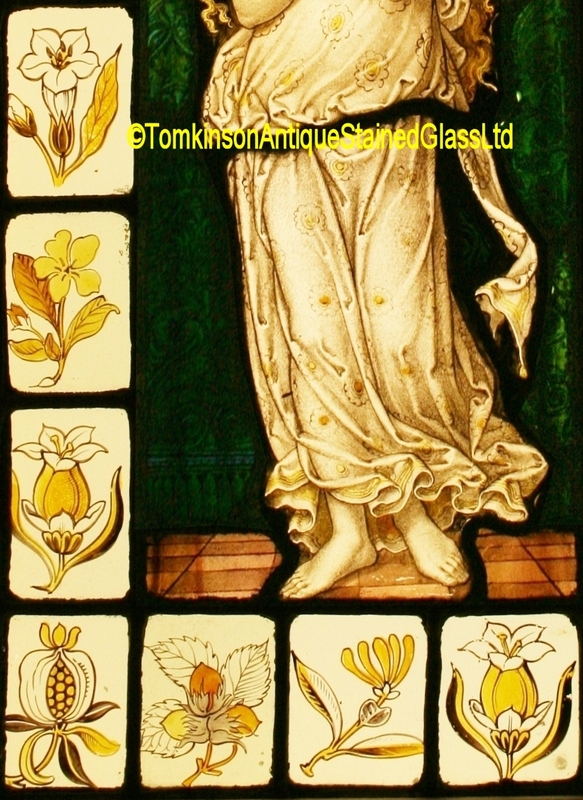 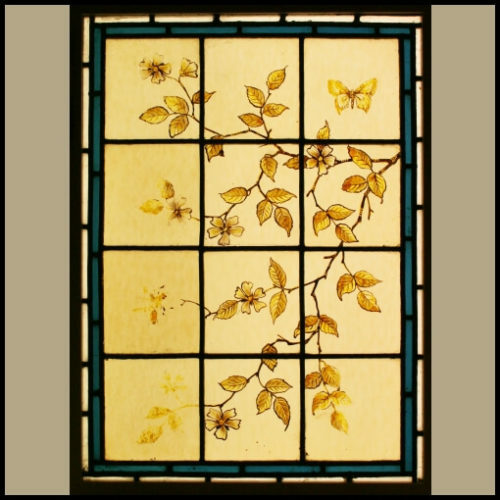 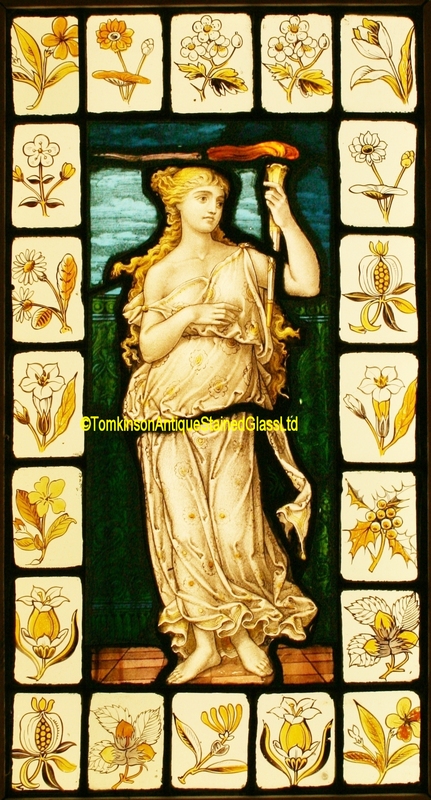 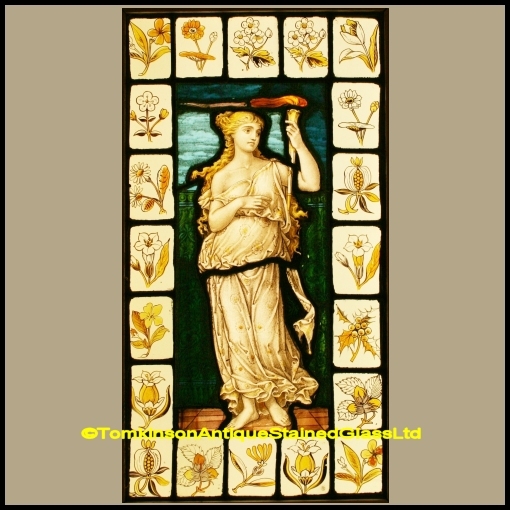 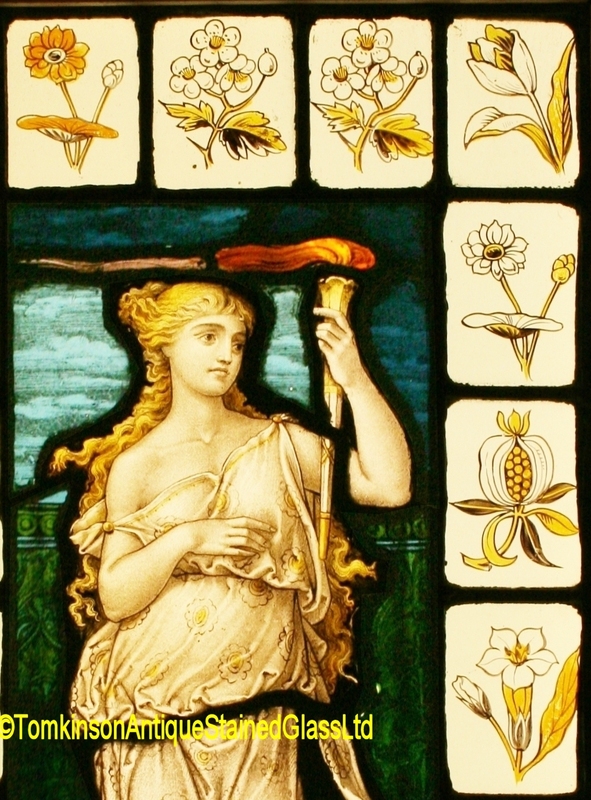 Antique leaded stained glass panel hand painted depicting a classical Pre-Raphaelite maiden in flowing robes and holding a glowing torch depicting “Night”. 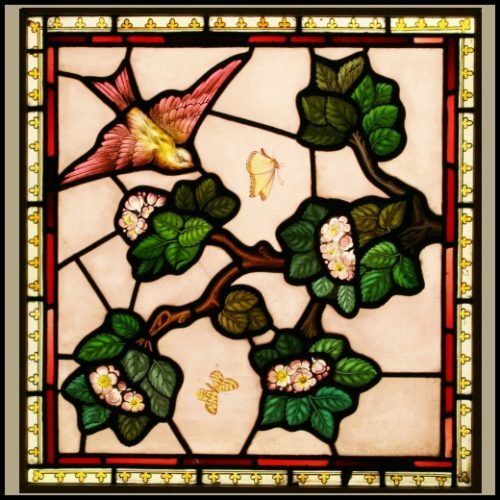 Around are quarries of various flowers, holly and pomegranates. 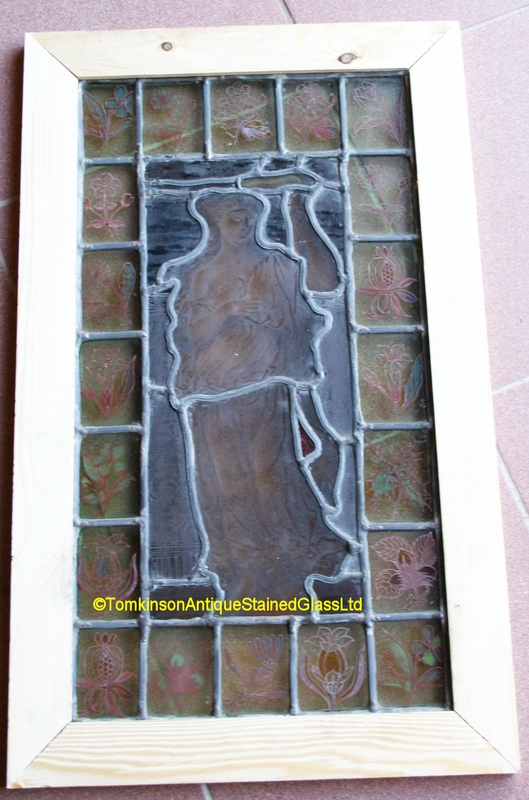 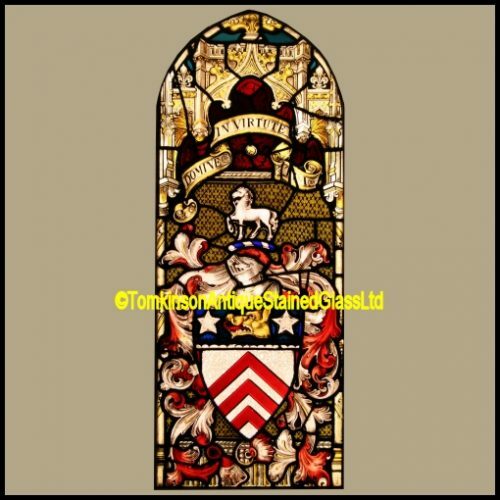 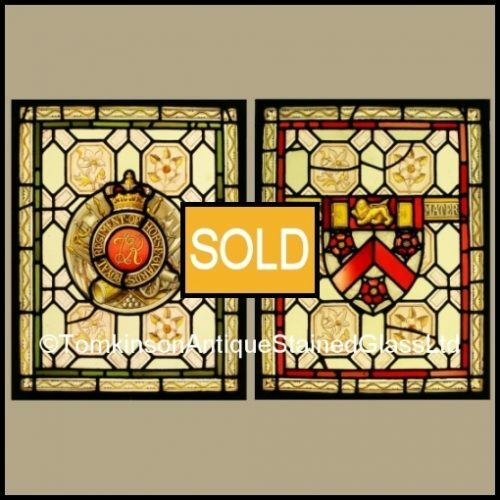 Lovely window and in excellent condition.